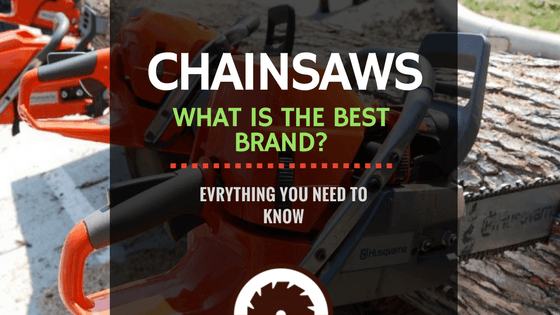 » What Is the Best Chainsaw Brand? What Is the Best Chainsaw Brand? Whether you decide to become a lumberjack on the side or if you just need to get firewood for the winter, you’ll be in need of a good chainsaw. Chainsaws can be powered by either electricity or gasoline. In the market today, there is a broad variety of brands, each with different specs, and when shopping for one, you might get a bit lost. Today we're going to discuss what to look for when searching for the best chainsaw brand. This article is both a guide and a review. First, we’ll discuss the general features to look out for when choosing a great chainsaw brand; then, we’ll do a review of the best chainsaw brands in 2017, with each individual brand's features, advantages, and disadvantages explained to help you make the best choice. When deciding what chainsaw brand to pick, it all comes down to one thing — where you are going to use it. Chainsaws can be either gasoline-powered or electric. Gas-powered chainsaws are far more powerful than electrically-powered ones; however, electric types are less noisy and easier to maintain than gasoline types. 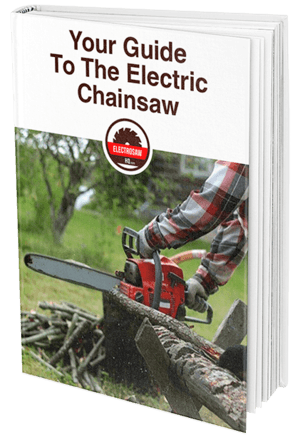 If you want a chainsaw brand with an easy-to-start system, you could get an electric one. All you will be required to do is press an on-switch button. However, if you want a gas chainsaw with an easy-to-start system, you might be required to look a bit harder. Gas chainsaws are started by pulling a cord that starts up the engine, though this may look easier than it is. Bigger engines require harder pulls, but the best brands are designed with smart start systems or decompression valves to lessen the effort. When you look at a chainsaw from the top, you can determine whether it has a wide or a narrow profile. Wide ones may be a bit uncomfortable, especially if you are using it regularly. Skinnier chainsaws are easier to work with and maneuver, hence recommended for lighter jobs like trimming. You should note that most narrow chainsaws come at an extra cost, so if affordability is paramount, you might have to settle for a brand with wider alternatives. Most lumberjacks usually carry tool boxes with the required equipment to adjust their chainsaw tension. If you find tensioning tedious, you can find a chainsaw that features a toolless tensioning system which will also reduce the risk of damaging the chainsaw if it is not tensioned properly. Such brands are usually costly, but they are beneficial in the long-run. ​Are you looking for an inexpensive chainsaw? Check the Best Cheap Chainsaws for Home Use. Making it to the review of the best chainsaw brand is Husqvarna, one of the leading manufacturers in the industry. The company manufactures gasoline chainsaws that are powerful and recommended for heavy-duty jobs. Husqvarna products come in a variety of bar lengths, from 14 to 20 inches. The advantages of using this brand of chainsaw include the fact that they come in cordless designs, making it easy to move around with them. Secondly, these chainsaws have a choke/stop control that ensures your device starts easily. Compared to other gasoline brands, Husqvarna devices are quiet, lightweight, and eco-friendly. Their eco-friendliness is because their engines are specially designed to consume less fuel. The main disadvantage of this brand is the fact that it is relatively costly. However, with its quality, the cost is justified. Another disadvantage is that, though it is less noisy than other gas chainsaws, it is still noisier than the electric types. Another respected player in this industry is the Stihl brand. The company produces both gas and electric chainsaws with bar lengths of between 12 and 20 inches. However, the bar lengths of the electric chainsaws are smaller and corded, unlike their gas-powered models. ​Stihl is also known for the higher level of power of their chainsaws, which makes them the best-recommended brand for use on thick and tough logs. The top advantage of this brand is that its chain needs no tool tensioning. To tighten the chain, all you need is to turn a wheel after determining how tight you want it to be. Some models have built-in chain sharpeners, which is very convenient. The only disadvantage might be its cost, which makes it unaffordable for some people. Echo produces a variety of tools, among them being high-performance chainsaws. These chainsaws are mostly powered by gas, and their bar lengths vary between 12 to 20 inches. They also have a 2-stroke engine that is designed to tackle the toughest logs and trees. No cord is attached to these chainsaws to enable free movement as you cut logs. One of the main advantages of this brand is the presence of top and rear handles. The top one is used to control the operation and the direction of movement of the chainsaw while the side handle is a feature specially installed for beginners. Another advantage is the presence of an air filtration system that aids in the cooling of the machine as you use it. The vibration reduction feature ensures your comfort as you cut through trees and logs. Read our Echo 58v chainsaw Review. Picking the right chainsaw brand for your particular needs is important as it ensures that you will be able to meet your log-cutting requirements in the long run. You first have to decide whether you want an electric or a gas chainsaw, which is again dependent on what you need it for. The best brands have easy-start systems, narrow widths for easy handling, and tensioning systems that require no tools. Husqvarna is the most impressive brand in this review mainly because of the power it packs, eco-friendliness, and both its narrow design and lightweight. If you are looking for a powerful, durable, and easy-to-maintain chainsaw, one from the Husqvarna brand would very likely be your best choice.